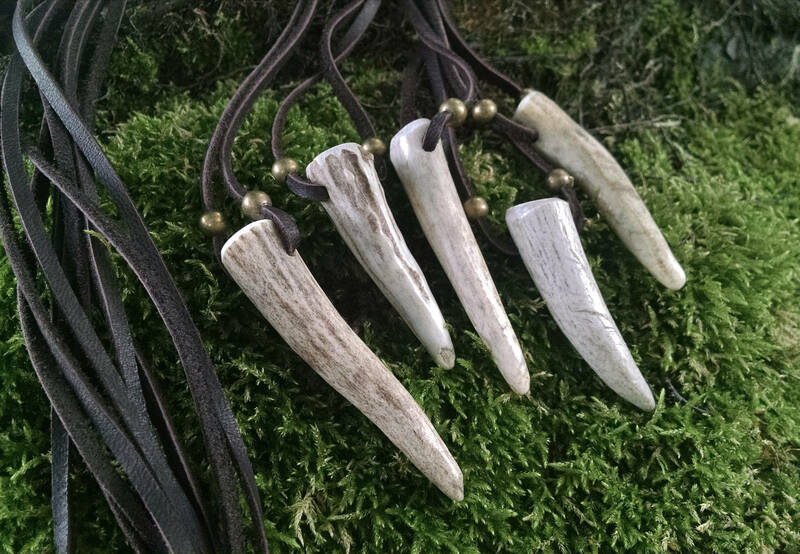 Real deer antler point necklaces / pendants. 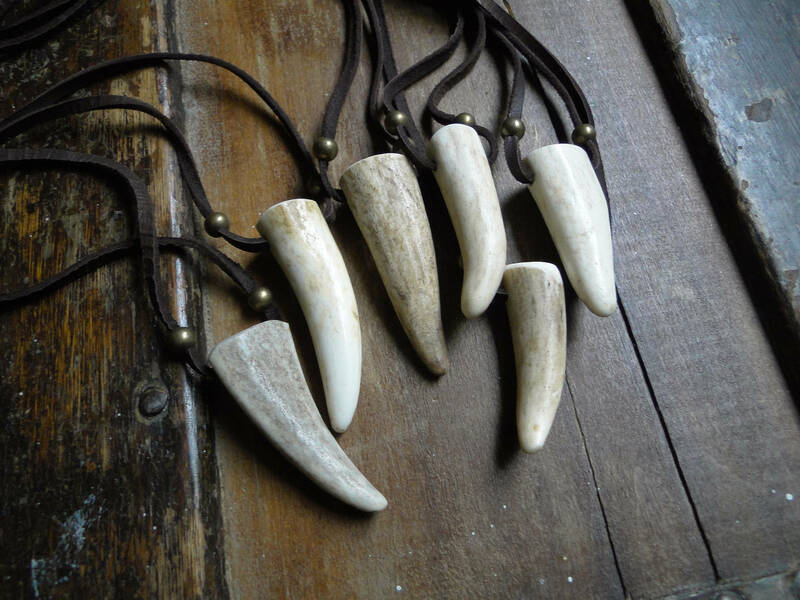 Come with soft deerskin leather lace 26" long, dark brown in color, with two brass beads. 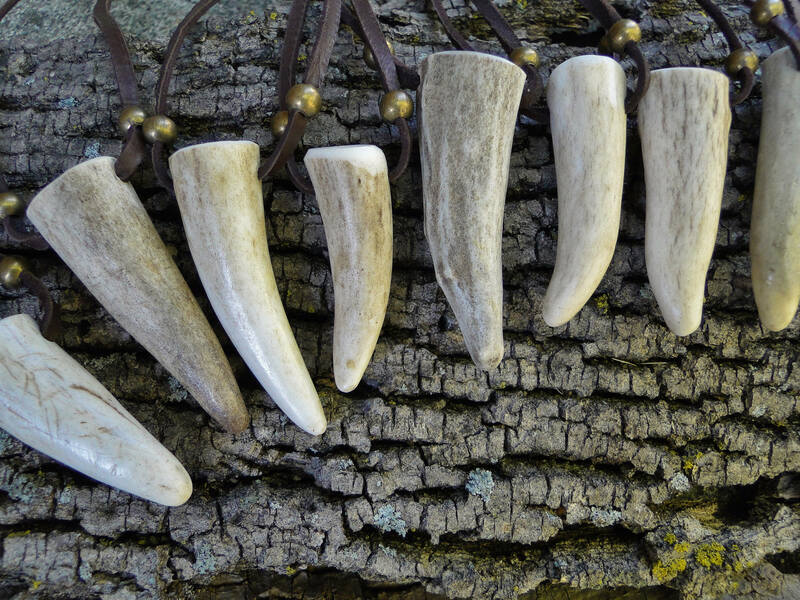 Exact size and shape of the antler points varies, pictures show examples of what yours may look like. 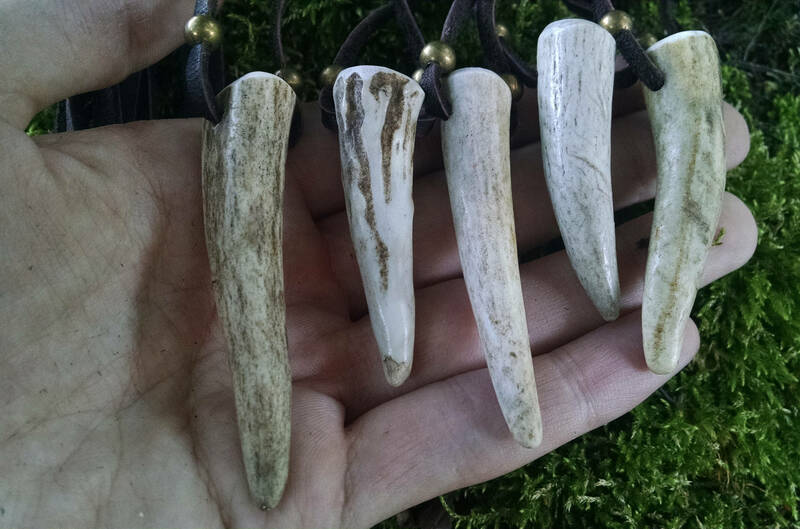 Make great gifts! $10 each. Looks exactly as pictured and arrived super quickly!